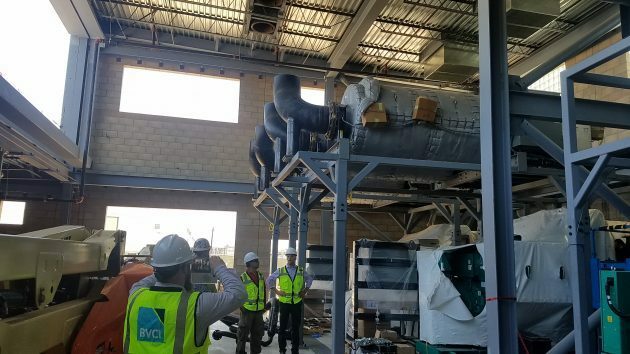 Microgrid Knowledge announced today that Microgrid 2019 will feature a tour of the Miramar microgrid, one of the most advanced military microgrids under development. The tour is one of the many highlights of “Microgrid 2019: Shaping the New Electric Grid,” May 14-16 in San Diego. The US Congress designated $20 million to the Marine Corps Air Station Miramar, San Diego to build the microgrid, which includes numerous resources, among them 1.3 MW of solar PV, 3.2 MW landfill gas, a 6.45-MW diesel and natural gas plant and EV charging. Learning opportunities abound on the tour of this microgrid, which is designed to help green the base’s operations, improve cybersecurity, reduce demand charges, and manage overall energy load. The microgrid also will support the efficient functioning of California’s grid. The Miramar microgrid tour is one great reason to attend Microgrid 2019. Here are five more reasons. Everyone is welcome. At our conferences, we embrace all kinds of technologies, ranging from combined heat and power to solar-plus-storage. In addition, we don’t favor certain business and ownership models. That means you’ll be exposed to every possible form of microgrid at the conference. You’ll enjoy our location: Join us at the InterContinental San Diego, a new waterfront luxury hotel in downtown San Diego’s BRIC (Broadway and Pacific Highway) region. It’s within walking distance to some of the city’s most popular restaurants, close to the airport, and overlooks the bay. At Microgrid 2019, you’ll have many opportunities to network with a broad range of leaders and players in the distributed energy and microgrid field, including utilities, energy developers, institutions, consulting firms, government agencies, real estate developers, equipment manufacturers, system integrators, and control and data specialists. You’ll love the conference vibe. Participants come to meet others, share their experience, network with prospects, and learn about what’s cutting-edge in the industry. This creates an exciting atmosphere that sparks learning and connection. You can attend at a $350 discount if you register now for the Early Bird Special. 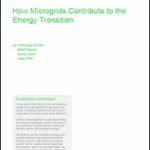 Microgrid 2019 is the fourth event sponsored by Microgrid Knowledge, the leading publication about all things microgrid. It follows packed conferences in New York City, Boston, and Chicago. Conference information and registration is available on the Microgrid 2019 site. More details about the Miramar microgrid tour are here. Have you seen the Miramar Microgrid in San Diego? Here’s your chance!